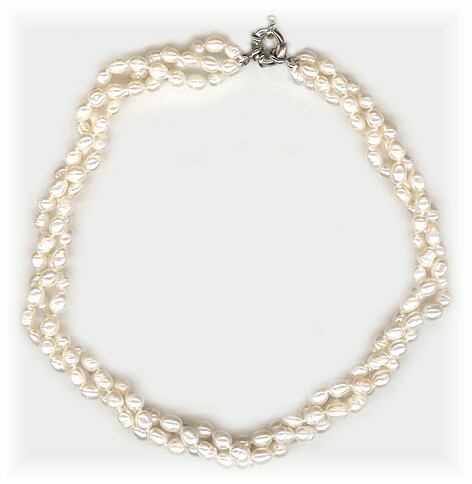 Three strands of shimmering natural 7mm Freshwater Pearl rice pearls, which can be twisted around each other in a magnificent garland, or shaken loose to hang parallel to each other. Finished with an ornate circular clasp. Length: 41cm (16").